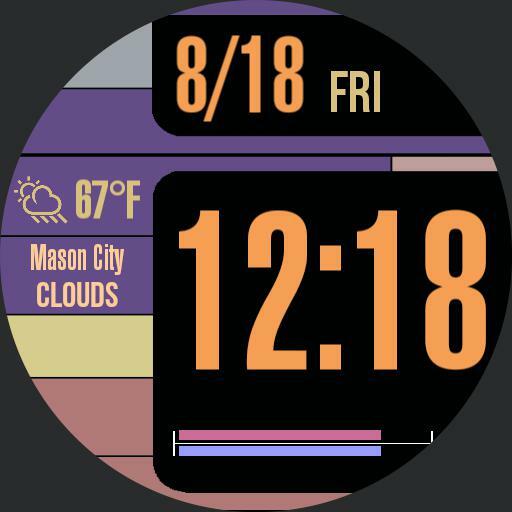 Star Trek LCARS styled watch face. Original was by Jicker2k for a square watch. I remade the image in paint.net and got rid of all of the compression artifacts and replaced all text. I then moved several elements around to better fit round watches.